We are a well-known Manufacturer and Supplier of Pharmaceutical Injections in Jammu & Kashmir. 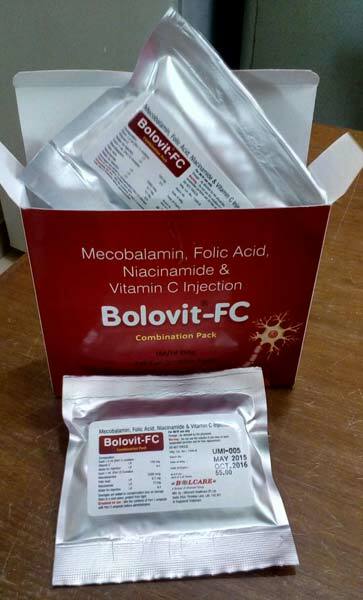 We are actively offering clinically tested and effective lot of Bolovit-FC Injection to all our buyers. The Pharmaceutical Injections that we deal in are prepared by our team of professionals having years of experience and in-depth knowledge. They can be acquired from us in small as well as bulk orders at the most discounted rates. 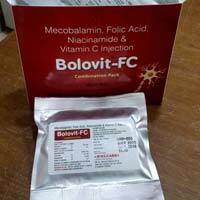 The Bolovit-FC Injection that we deal in is widely in demand due to its excellent performance and instant positive results. It is obtainable from us in bulk and at the modest rates.